Business description from prospectus – IRIS Business Services Limited is a global provider of software products for compliance, data and analytics. The company caters to Regulators including Central Banks, Business Registries, Capital Market Regulators and Stock Exchanges. It also provides solutions to the regulated, including Corporates, Banks, Mutual Funds. The company is operating in the domestic as well as overseas markets. The company was founded by Mr. Swaminathan Subramaniam, Mr. Balachandran Krishnan and Ms. Deepta Rangarajan in the year 2000. Initially, it focused on providing XBRL (eXtensible Business Reporting Language – an XML based information standard) related services and consultancy to its domestic and overseas clients. The company changed its business model from a services provision model to a product based model in the year 2015, and also ventured beyond XBRL into other information standards such as JSON etc, which for example, is used by for GST filings in India. 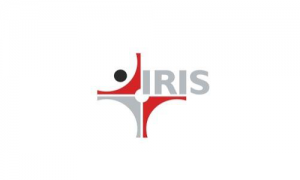 IRIS Business Services IPO allotment status is now available on Link Intime’s website. Click on this link to get allotment status.